Creative Eyeworks located at 100 Broadway in the Broadway Plaza Shopping Center, has been serving our community for 22 years. Bonnie Frank, along with Carol Brunkhardt started their business knowing that their services would be a nice contribution to the community. In 1996, they were located on S. 3rd Avenue, later moving to a larger location in 2008. Creative Eyeworks carries a large selection of prescription and nonprescription eyewear including sunglasses. They also offer some day service on some prescriptions. On top of their many wonderful products, Creative Eyeworks also has a part-time optometrist on staff to better serve your eyecare needs. Dr. Sean Blackburn and his staff come to the office once a week. 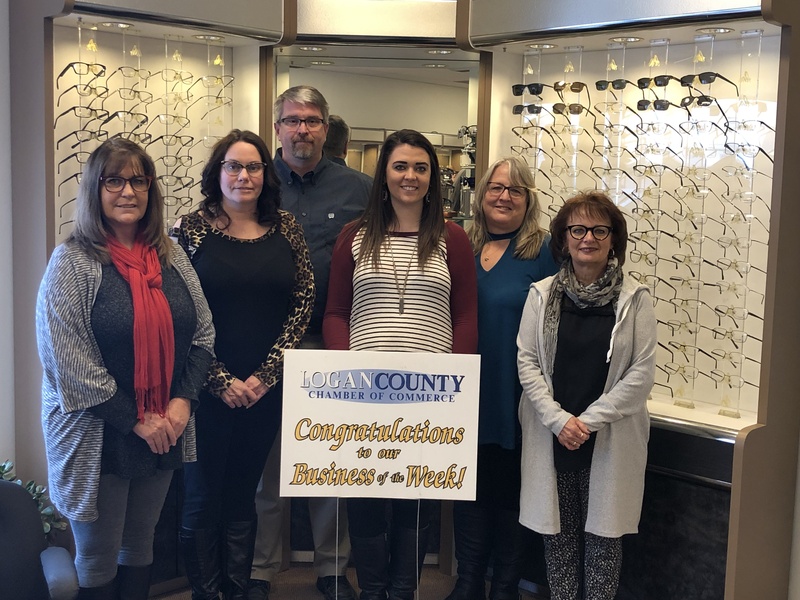 Please help the Logan County Chamber in congratulating Creative Eyeworks as this week’s Business of the Week.